I’m continuing to work on getting my HP 143A ocsilloscope mainframe fixed up as a dual-trace X-Y display. 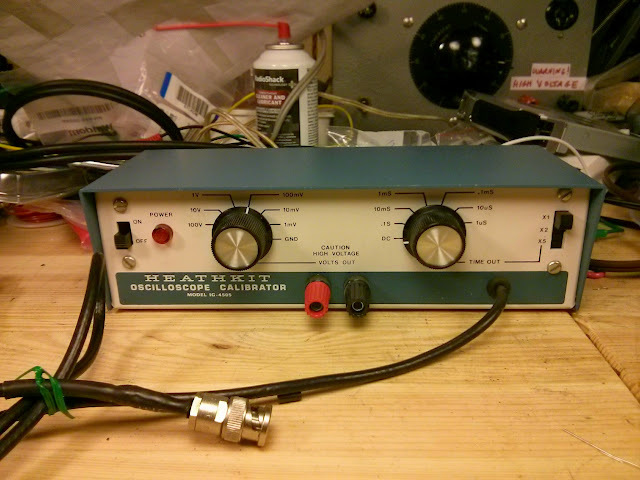 A lot of the time has been spent on reading and researching, but I’ve picked up an important tool that will help get me there: a Heathkit Oscilloscope calibrator. This is a simple but important little device which will help me calibrate several of my oscilloscope projects. 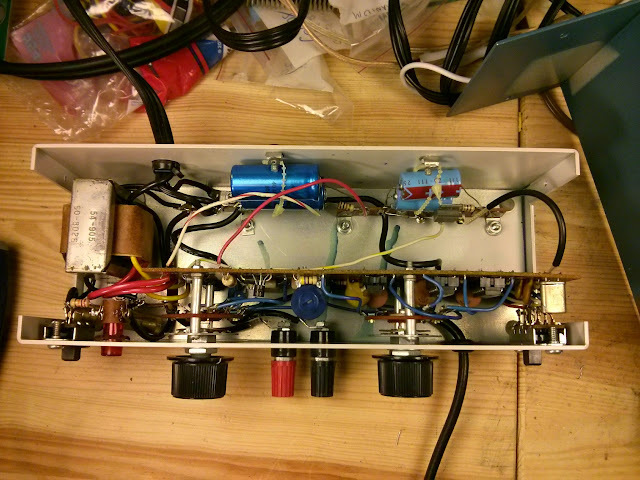 It produces a precise DC output level from 1 mV – 100V in multiples of 10, along with precise crystal-controlled frequencies for calibrating a timebase, etc This one was a kit, but it was put together well and is in great cosmetic shape for its age. 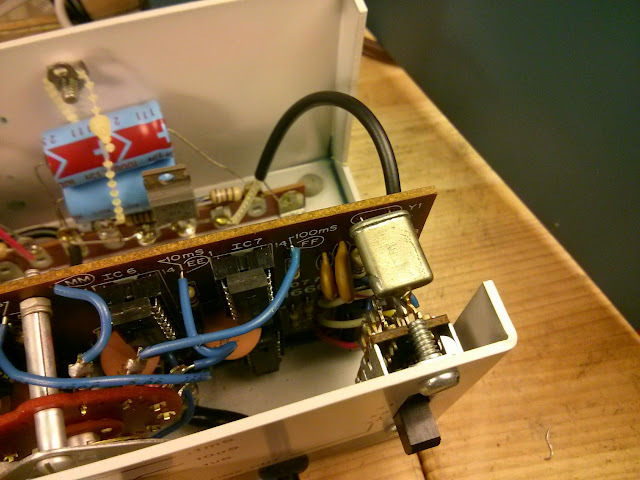 The heart of the calibrator is a 4.000 MHz crystal oscillator. This reference is passed through a series of frequency dividers and multipliers to obtain the calibrated reference frequencies. I hooked it up to my scope to test. The frequencies were spot on with my scope’s internal counter (4-digit, so 1.000 MHz). I didn’t check against my more precise counter but this will certainly be good enough – I’m not an NIST cal lab (and don’t want to be!) so a “bench cal” will be just fine for these old scope repair projects. All the functions check out. I’ll probably replace the 4 electrolytic capacitors as a preemptive measure just to ensure it doesn’t develop problems while I’m using it just to be sure. 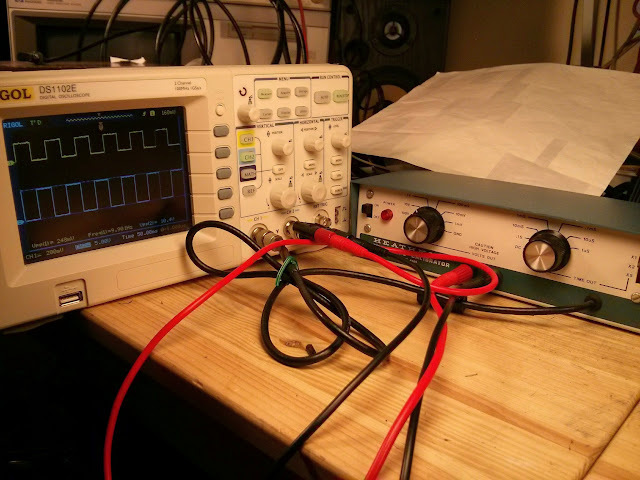 Otherwise, though, it’s going to be very useful for the 143A, and also my HP 130C oscilloscope project as well. I’m still looking for another HP 1402A dual-trace amplifier, since this mainframe needs two identical amplifier modules to be used as an X-Y display. If you have one, please let me know! 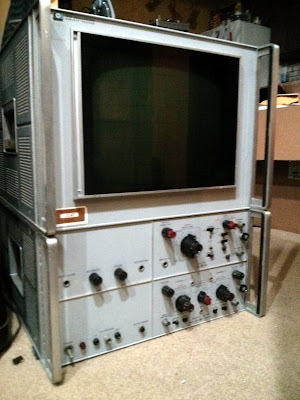 This entry was posted in Electronics, Gadgets, Test Equipment, Vintage and tagged 143a, calibrator, heathkit, heathkit oscilloscope calibrator, HP, mainframe, oscilloscope. Bookmark the permalink. The kit certainly looks very well built.